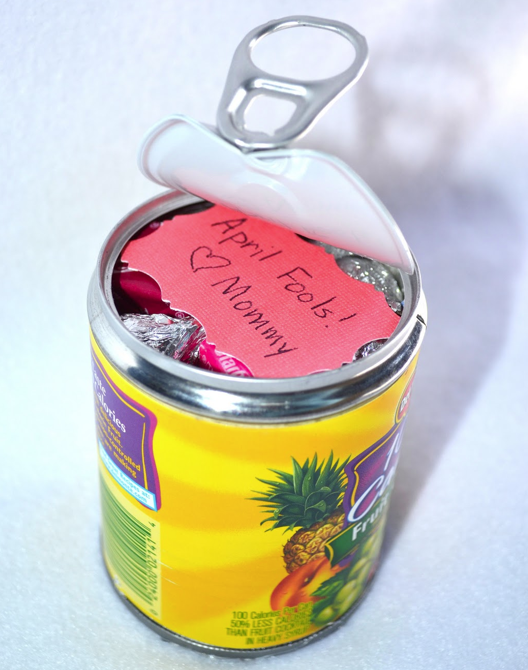 Laura came up with this fun idea for April Fool's Day. What you think is a can of fruit is actually a full of candy. I think it would be fun to fill it with pretzels and put it in the kids lunch. I am sure they would like a can of candy more, but I don't think their teachers would. You can see the tutorial over at Come Together Kids.